York is so packed full of history. Romans formed the city, Vikings fought in the city and the Victorians industrialised the city. The city is packed full of ancient sites where you can still see what our long-lost ancestors have left behind. A city lined by a castle wall, which is home to mystery and intrigue of its wartime past. York is a gem of a city to walk around, it’s cute cobbled streets lead the way to old fashioned sweet shops, old inns and plenty of places to enjoy a coffee with a slice of gluten free cake. Like many cities, York is host to a plethora of foodie events and their food festivals are well known throughout the North of England. York is host to three large food festivals. Treat your taste buds to the Chocolate festival in April, the taste food festival in June and the large ‘main event’ food festival throughout September and October. All three festivals promise local producers, gluten free food treats and a fabulous atmosphere in a glorious setting. If you are not as fortunate to be in the area for the festivals, York is home to beautiful and vibrant farmers markets. Farmers market have been gracing the streets since the 1950’s and long before they became fashionable. I love farmers markets for digging out local producers who are passionate about their food and I have often found the most amazing gluten free treats. Sometimes, you just want to grab lunch and sit on a bench in a park and enjoy your surroundings, especially if you are blessed with a pretty British summers day! They happen occasionally!! Farmers markets are held every Thursday in The Shambles Market and on the first Friday of every month, 9 am – 4 pm in St Sampson Square. Both are worth a visit. York is known for its ham and a bountiful supply of Yorkshire cheese. With so many cheese producers within the area, you will undoubtedly be blessed with trying a few out in the many restaurants. 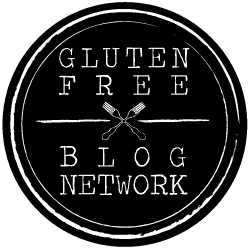 I had no idea what to expect from the gluten free menus of York; luckily for me and you, I was very pleasantly surprised. I found lots of independent restaurants all working hard to offer gluten free food that was fresh, delicious and affordable. Music to my gluten free ears! Get ready to enjoy your gluten free eating in the beautiful city of York! Ask any Yorkshire man (or women) what they think of when asked what a Yorkshire breakfast looks like and they will always say the ‘farmers breakfast’. The breakfast consists of fried eggs, sausages, bacon, fried tomato, toast, baked beans & black pudding – well when in Yorkshire it would be rude not to try it! However, if you fancy something a little lighter the below gluten free options will keep everyone happy. 1. Filmore & Union – A BIG gluten free farmers breakfast. A strange interior, with a mix of French architecture and farmers style décor! Do not be put off as the service and food were both amazing. Dig into their famous farmers full English gluten free breakfast and you will not be in need of anything until dinner. You can also dig into hummus eggs, coconut milk pancakes and smashed avocado – all served gluten free. A decadent setting with great food. 2. Chloe’s of York – Great local name! A very cute family run cafe offering delicious, fresh and affordable gluten free breakfast options. Bagels, toast and great coffee await you. The staff were super friendly and the ambience is relaxed, you could easily sit and watch the world go by. A family run gem in the centre of York who focuses on cooking fresh locally sourced food. My gluten free bagel was delicious! Good things come in fours, so here are a couple more options for your Yorkshire breakfast feast. Osbornes at 68, 68 Gillygate Rd offer a sultry setting, good coffee, and healthy gluten free breakfast options or for simple food to start your gluten free day head to La Cremeria, 20 High Petergate where awesome hot chocolate, smoked salmon bagels and gluten free treats wait to be devoured. I found gluten free eating at lunchtime easier in York than breakfast. There were lots more options and menus seem to offer more choice. I did not manage to find one place that was 100% gluten free, but in a small city like York, this was not a total surprise. Eateries need to cater for everyone to grab as much of the tourist trade as possible. However, the below should keep you full until dinner! 3. Lucky Days – Although the menu is not extensive, the food itself was fresh, delicious and great value for money. The chef is incredibly passionate about his food and that certainly shines through. Choose gluten free open sandwiches, soups and super squishy gluten free sponge cakes. A lighter lunchtime option that will not disappoint. The staff were friendly and the atmosphere feels suave and relaxed. 4. Mannion & Co – Cheese, please. A visit to York is not complete without digging into a cheese plate or two! An artisan bakery with a passion for serving great food, the fact they include a good range of gluten free options is a bonus. The cheese plate is a ‘must try’ and they focus on speciality grazing platters so you can build your own delicious sharing plate. Lovely relaxed atmosphere with a huge focus on fresh, locally sourced foods. Always one to share here is a couple more lunchtime options. Shambles Kitchen, 28. The Shambles is well known locally and offer fresh, delicious gluten free sandwiches that sell out most days, head there between 11.30 am – 1 pm. For lunch more refined head to No 8 Bistro, 8 Gillygate and enjoy excellent food in a lovely restaurant-style setting. 5. Little Italy – Italian in York? Pasta and gluten free fill me with fear and excitement in equal measure. I reluctantly chose this place as it was recommended and it scored pretty high via online reviews. The staff was extremely helpful and knowledgeable although I did call and warn them I was gluten free, so they were expecting me! The gluten free pasta was absolutely delicious and you could taste it was homemade and fresh. Lovely ambiance and flexibility made this restaurant a winner for me. 6. Yak & Yeti Gurkha Restaurant – Gluten free heaven for your taste buds. I have always liked Nepalese cuisine. Authentic restaurants are difficult to come by, so this was one was a must try for me. With a HUGE menu and most dishes being gluten free, I was in heaven. The food was authentic, delicious and good value, you will be spoilt for choice. The staff were friendly and the ambience was relaxed and authentic. Vibrant gluten free dinner awaits. This is not in anyway connected with Yak on York in Australia. York will give you history, beautiful surroundings, and friendly people. A city that always feels alive with hidden secrets of our ancestors. Gluten free eating was fun and gave me the chance to try new foods I would never have associated with an old British city. Take time to find your own places to try new gluten free food, just be sure to let me know when you find them. York is a city I will definitely be back to eat in. Gluten free York did not disappoint.